There are so many things I love about this moment in time. Josh was teaching Chase to wash dishes. He grabbed a trash can and turned it upside down for Chase to be able to see and learn and help. 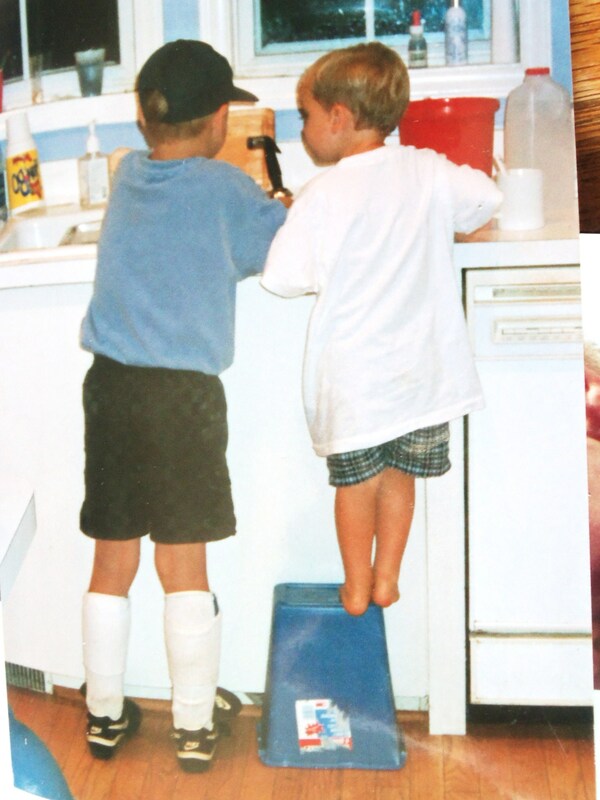 Chase’s little bare feet are perched on top of this makeshift booster while Josh’s cleated feet are firmly planted on the floor. (Still has the cleats and shin guards on from soccer practice.) Chase quietly listened as Josh showed the “how to’s” of the task. Brothers helping brothers not only helps brothers, it encourages moms big time. Sometimes helping in the little things are truly the Big Things.